Playdough is a favorite around here! I generally keep a batch where Jack and Bull can get it at any time as well as a bowl of playdough toys to experiment with. Sometimes it seems as though playdough will keep them occupied for hours and sometimes they need some parental input to really get going. 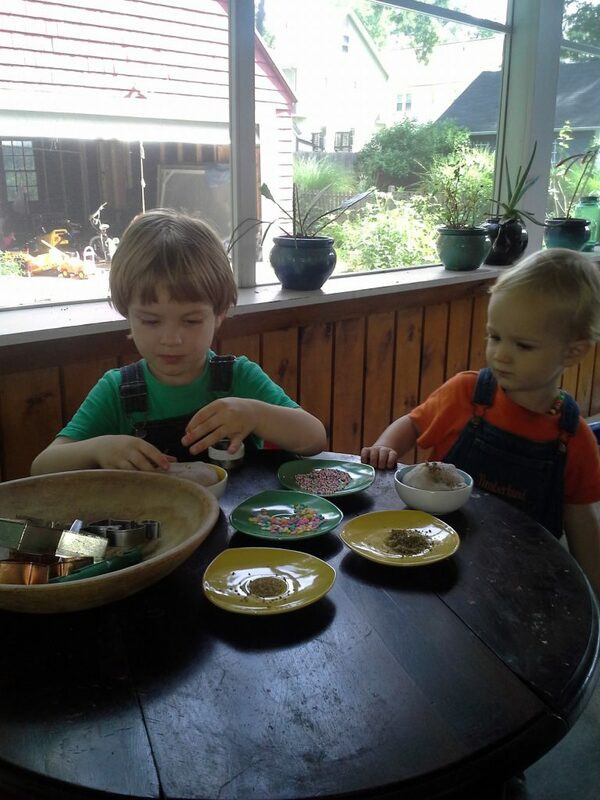 As I’ve been reading more about Montessori ?and Emilia Reggio ?approaches to education I’m starting to add some spark to the children’s play by putting together invitations or opportunities to explore a certain set of items or concepts. 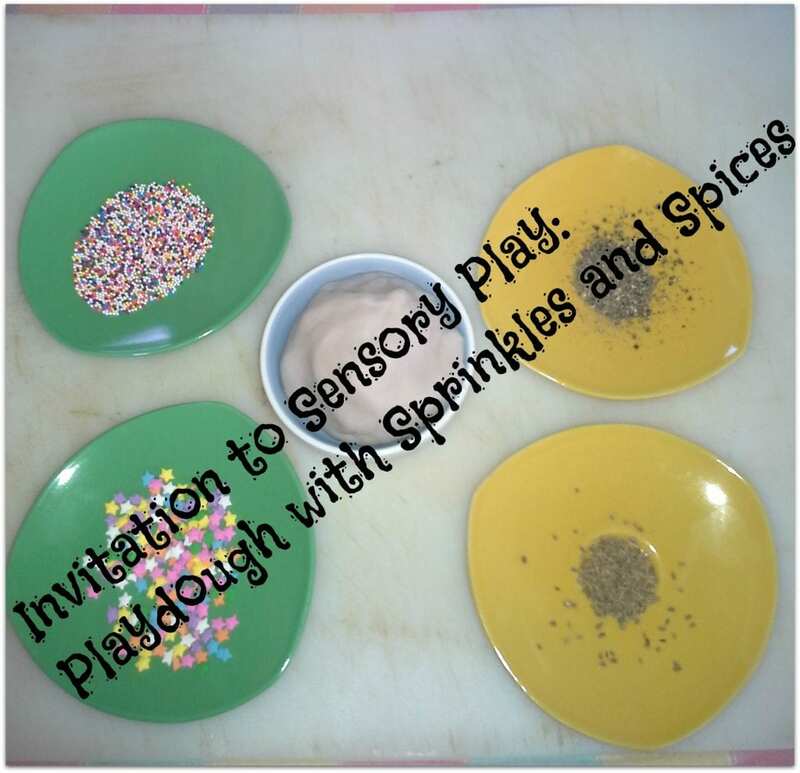 The sprinkles don’t have much scent but the pepper and anise are both distinctive in their smell as well as taste. Out to the porch, where they sat at their playdough table! Mixing visuals and tastes/smells is a serious business when you are four and two! They tasted the components and Jack tried a bite of playdough but spit it out again! Sensory play quickly led to imaginative play as they decorated “birthday cupcakes” for their stuffed animals. Later they rolled out “cookies” and decorated them. ?Altogether they spent about an hour on this exploration mixed with imaginative play. 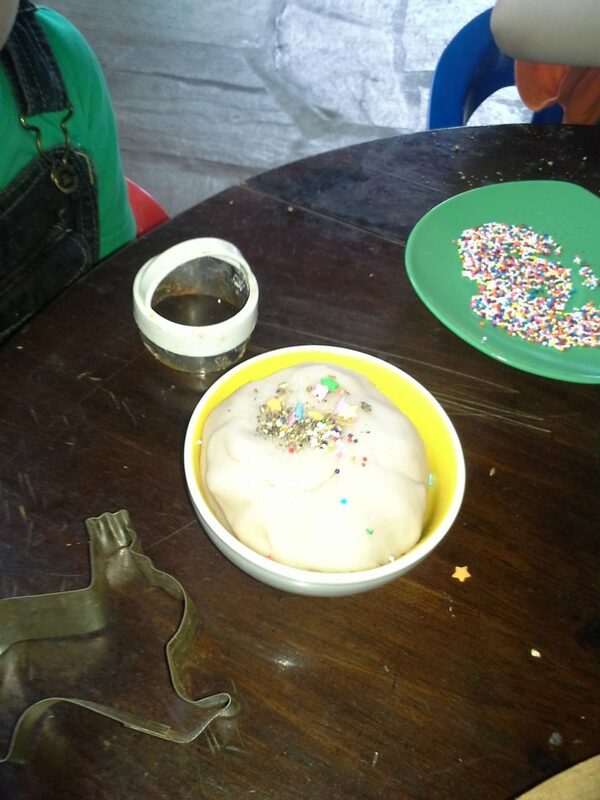 ?Since playdough is so easy to make we will definitely do more of these explorations. These kinds of things are so good for improving fine motor skills, hand eye coordination and reasoning skills as they figure out the order they need to do things in to accomplish what they imagine! Turn out on a table or board and add coloring of your choice, kneading until smooth. Be CAREFUL the dough is HOT when it first comes out of the pot! Handwork or Getting The Children To Make Their Own Toys! 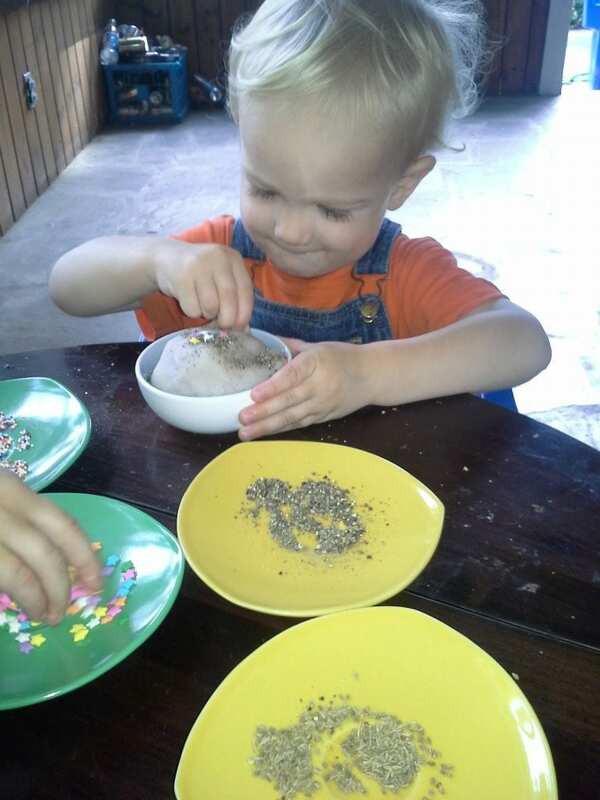 This entry was posted in Creativity, free play, homeschooling, preschool educcation, Preschool Play, Preschooler projects, Uncategorized and tagged Creating, creative play, Emilia Reggio, free play, imaginative play, Montessori, playdough, preschool education, preschoolers. Bookmark the permalink.